Interview Tips That Will Reduce Stress and Help You Get the Job Offer! Job interviewing can be both exciting and stressful. 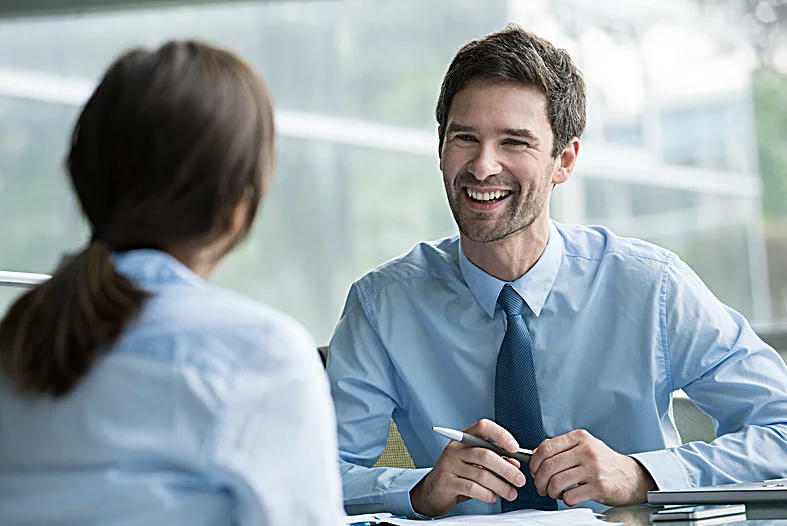 In the interview process, you are having to sell yourself and your skills to complete strangers in most cases, and depending on the interviewer’s style, you will sometimes be challenged about what you know or don’t know. You may meet with one person or a team of interviewers who will fire questions from all angles to see how you react under pressure. And, with all of this potential stress whirling around the interview room, you must stay upbeat and enthusiastic throughout the process. Fortunately, there are some common sense but very effective habits you can develop to increase the odds of getting the job! Remember that a job interview is an opportunity to prove to the interviewer(s) that you have the skills, chemistry and integrity to be a valuable member of the team. Prepare, Prepare, Prepare/Practice, Practice, Practice! – Prepare and practice your responses to typical interview questions (ex; strengths, weaknesses, “Tell me about yourself.”, etc.). Prepare specific examples that highlight your qualifications and skills. Use the position description to prepare your “script”. Make a list of the job requirements, and match them to your experience. Also commit to memory some specific accomplishments and work them into the interview conversation. Successes are a great way to sell yourself. Also, have a list of you own questions to ask the employer. Research the Organization – Do your homework about the employer and the industry, so you are ready for the interview question, “What do you know about this company and the position?” Try to relate what you have learned about the company when answering questions. Find out the interviewer’s name if possible, and use it throughout the interview process. This will help create a personal connection which will increase your chances of getting hired. People tend to hire candidates they like, and who seem to be a good fit for the company culture. Be On Time (as in “Arrive Early”!) – Be on time for the interview which actually means get there ten to fifteen minutes early! It is a good idea to enter the interview location into your phone/GPS, know the traffic congestion patterns and even drive to the interview location ahead of time so you know exactly where you are going and how long it will take to get there. Take a few extra minutes to visit the rest room, check your outfit, and take a couple of deep breaths! Try to Stay Cool, Calm and Be Confident!! – As you walk into the interview, be confident, make eye contact, smile and give a firm handshake. You may have “butterflies’ at first, but once you get started, they will disappear! Remember that the first ten seconds of the interview are critical and your body language says a lot about you as a fit for the position. Solid preparation will help increase your confidence and calm you down. Carefully listen to the entire question before you answer, and take a few seconds to put together a clear and concise response. Show Them What You Know – Relate what you know about the company when answering their questions. Match your career accomplishments to what the company is looking for. Use examples from your research when answering questions. Make a match between your expertise and the company’s requirements, and sell yourself to the interviewer(s). Tell the Truth! – Always be honest about your qualifications. Companies are as interested in integrity as they are in technical skills and chemistry. Remember that today’s technology makes it easier than ever for an employer to check applicant backgrounds and a false record will disqualify you for the position. Never lie about your education. Briefly explain if you were terminated from a job or if you have an employment gap and move on to the next question. Employers are more forgiving than you might think especially if you have good qualifications and you present yourself well. Follow Up – Always follow-up with a thank you note or e-mail re-stating your interest in the position. You can also include any details you may have forgotten to mention during your interview. If you interview with multiple people, send each one a personal e-mail or note no later than 24 hours after your interview. Overall, proper preparation will help alleviate some of the stress involved in job interviews and the more you prepare, the more comfortable and successful you will be at interviewing and landing that dream job!